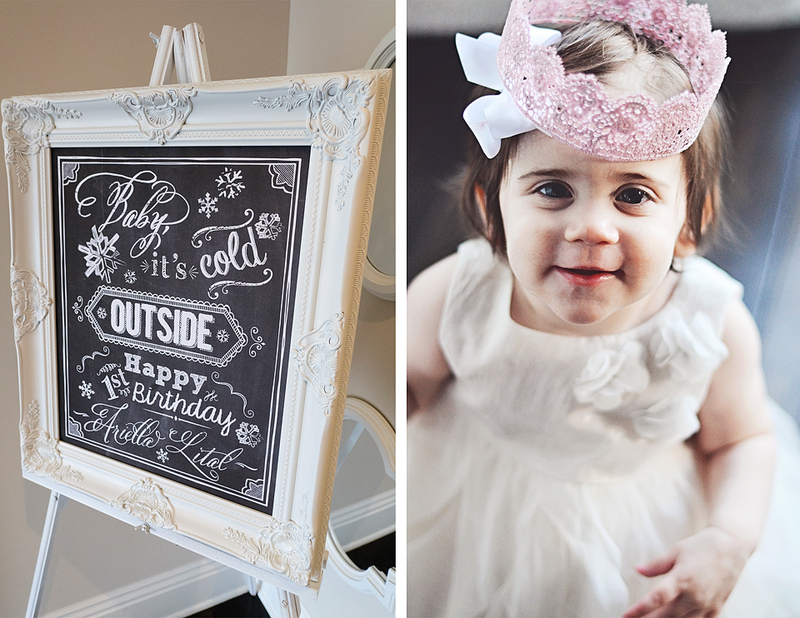 Even though it is Spring and with Easter now being officially colder than Christmas we thought it was only fitting to feature this absolutely stunning rustic winter wonderland 1st birthday party. I can’t even express how many gorgeous ideas and inspiration you will find here, so read on and take note! 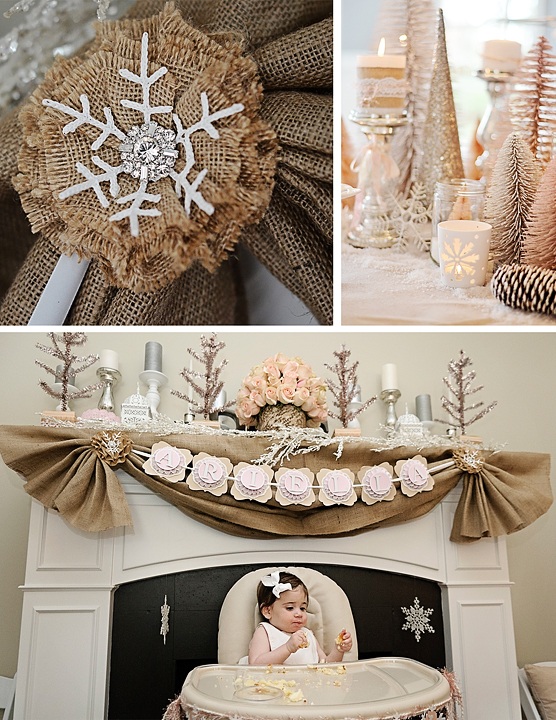 Emily who is mum to little Ariella wanted to create something unique and decided on the theme Winter Wonderland with shabby chic and rustic tones instead of the traditional Wintery blue tones. 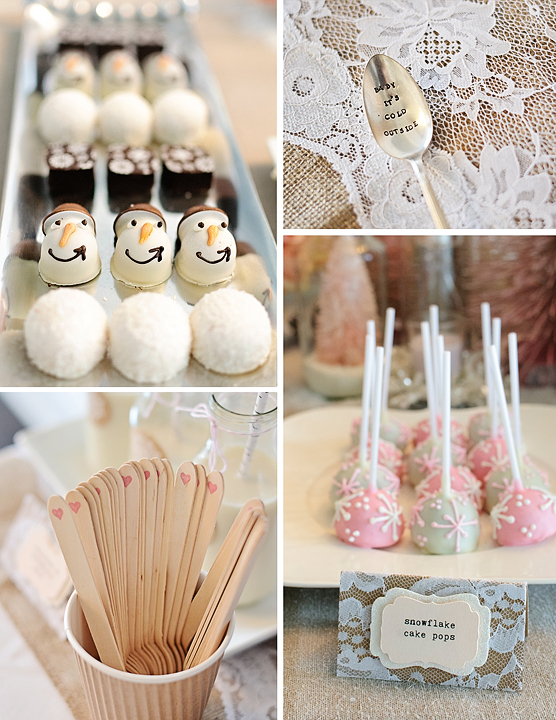 The details in the party are stunning and in particular we love the natural edginess of the party which remains girly and beautiful. 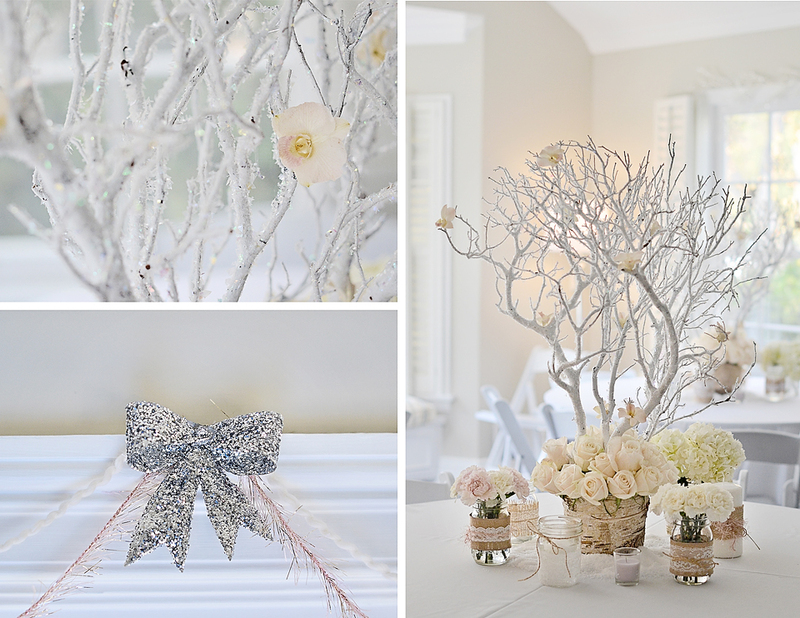 As you know I love a bit of DIY party and was very impressed with the branch centrepiece. I myself will be trying this out in the future! Emily followed an online tutorial similar to the one found here. 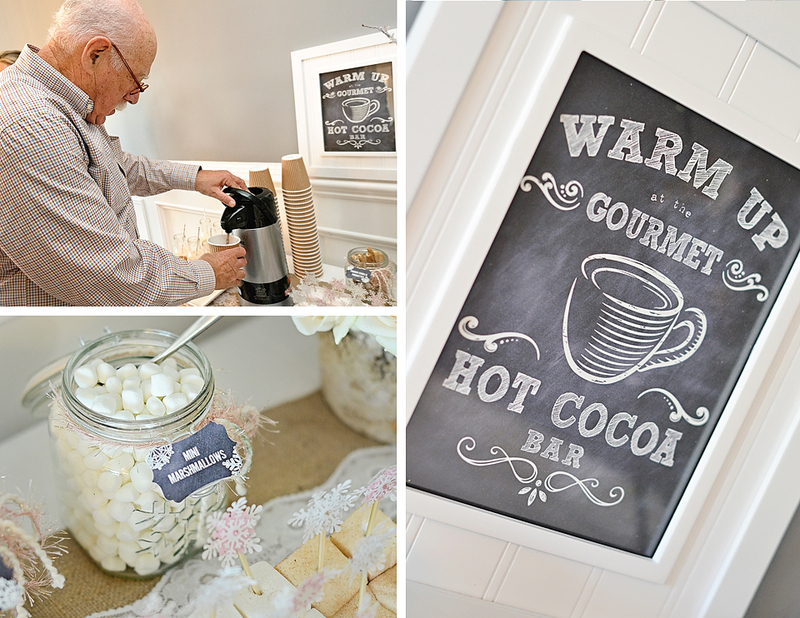 What a wonderful idea of adding a hot chocolate bar, keeping young and older guests happy alike! 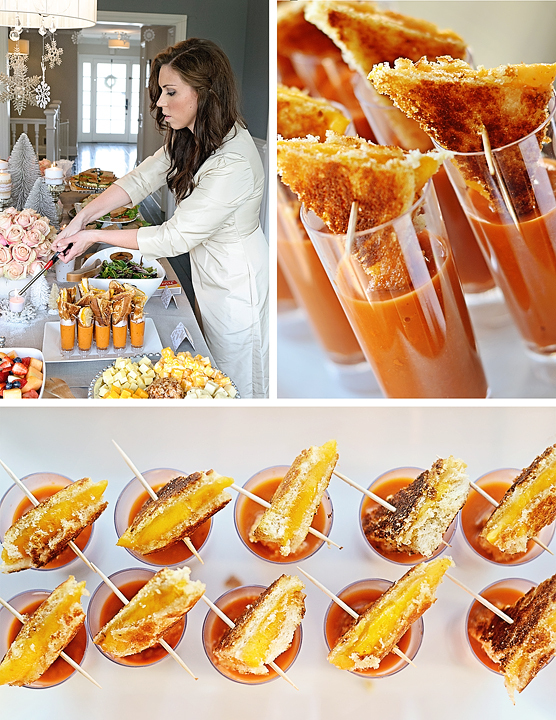 I am so impressed with these tomato soup & grilled cheese shooters! 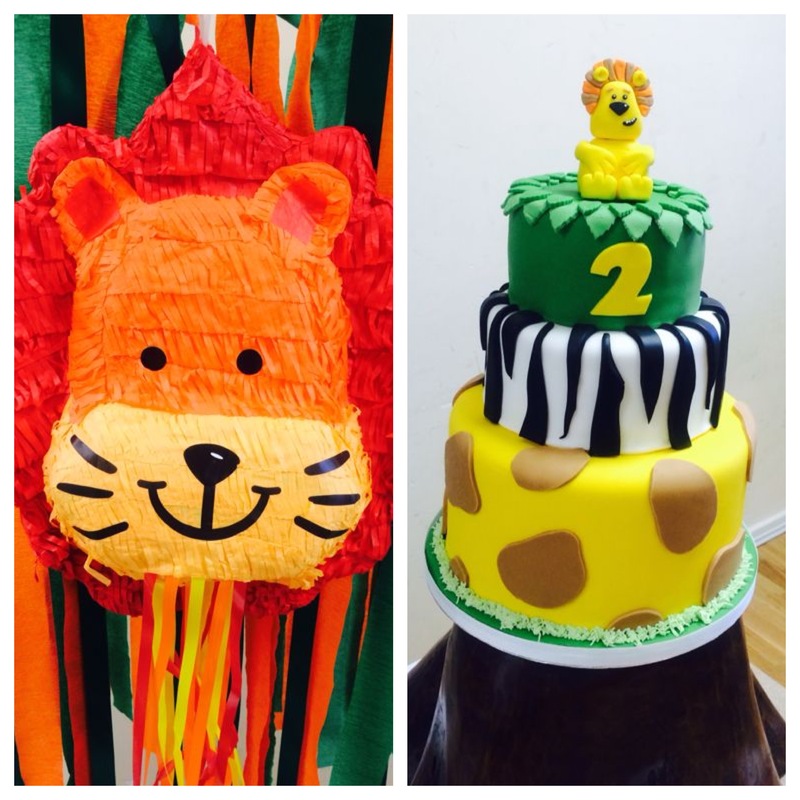 Emily says “I saw these at a party awhile back and thought they would be a great addition to Ariella’s party! They were a great, warm comfort food for a cold winter day! 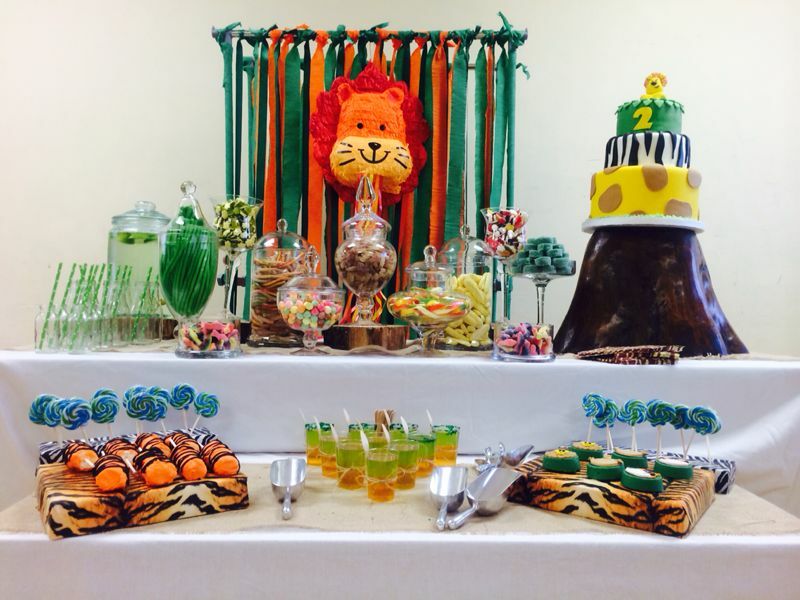 Guests loved them, and even asked for refills”. What a wonderful idea! 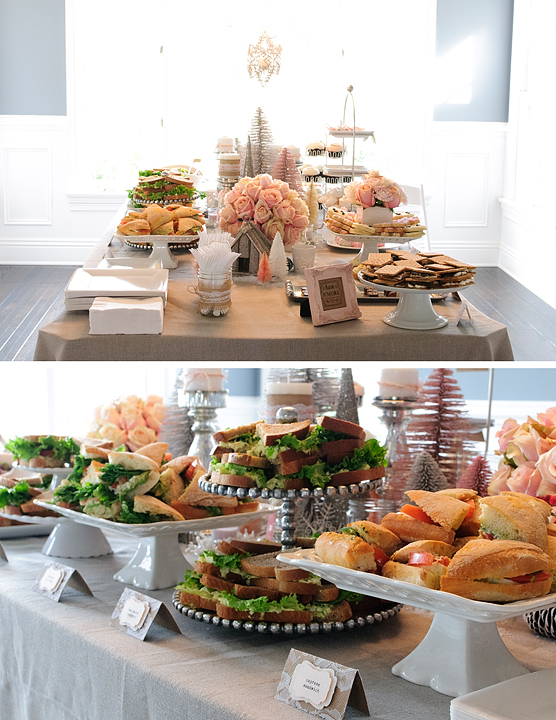 Look at this amazing spread……. The invitations were designed by Emily herself. Emily is a based in LA but we are hoping if we ask nicely she will ship her amazing designs over to the UK. Please check out her gorgeous work. We asked Emily what tips she had on staying organised and calm on the day of the party? ♥ Start planning early. Emily started planning 9 months in advance. Although details such as the flower arranging etc had to be done the night before. 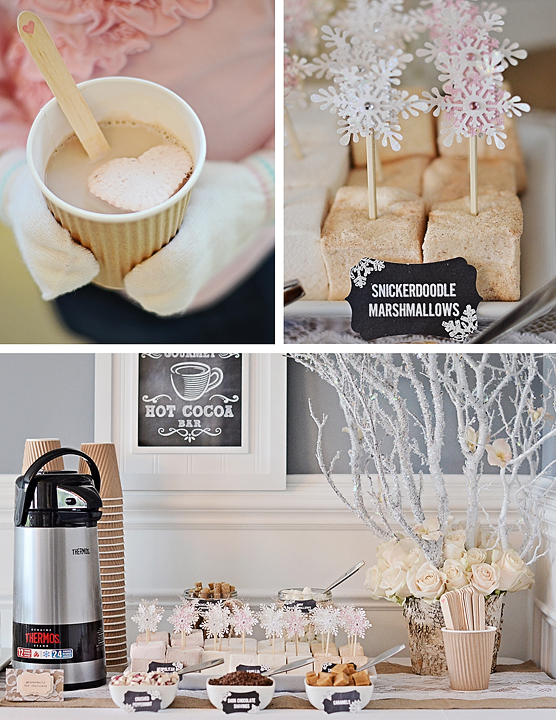 ♥ Planning a seasonal party in the actual season has it’s advantages. Lots of products available and often at sale prices too! ♥ On the day of the event recruit close friends and family to help as much as possible. ♥ Emily says she does get pretty stressed leading up to the event, but once the guests arrive and party starts its time to relax, have fun and enjoy the moment! All of Emily’s suppliers are US based, but if you are interested in who they are you can refer her post here.